It's time to Spring into Beauty with the help of Sephora. The weather is changing and so are the colors. It's also time to update your beauty products for the season. 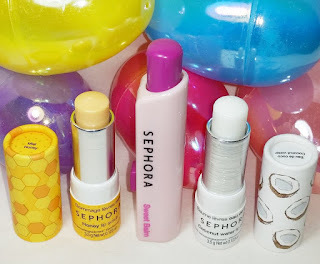 I received a variety of products from Sephora to help me transition to Spring. I was so delighted with all the items I was sent. What will be in your Easter basket this year? 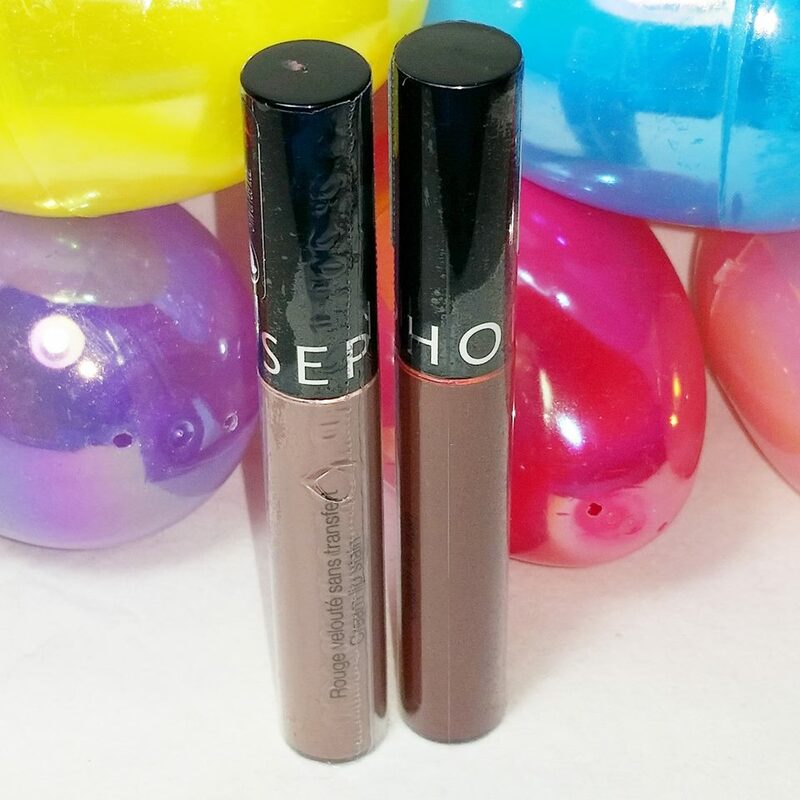 A gift from Sephora will surely have you doing the bunny hop! Honey lip scrub- just in time to scrub away those winter dry lips. A gentle but effective exultant that will leave your lips kissable soft. The lip scrub features gentle sugar exfoliant to smooth and soften lips, priming them for lipstick and other lip products. Sweet balm - the perfect sweet color for spring in a really cool tube. this moisturizing lip balm goes on sheer with just a hint of color. This moisturizing, travel friendly tinted balm, goes on sheer and adds a subtle sheen to lips for comfortable wear—no mirror required. The container clicks closed for easy, mess-free travel. Coconut water lip balm - This lip balm smells and feels amazing! For the love of coconut this is a must have! It nurtures and soothes your lips with the love of coconut water. Cream lip stains - in the colors rose wood and pink tea you can make a lasting statement on your lips. This bestselling, high-coverage lip color glides on smooth and transforms from a creamy texture into a silky, lightweight stain. Infused with avocado oil, the long-lasting formula delivers rich color that feels comfortable, is never sticky, and won’t dry out lips. A silky, long-lasting lip stain that keeps lips covered with bold color from AM to PM—no need to reapply or touch up throughout the day. Cloud cover large powder puff - Bring on the powder this puff can handle it! It even comes with a reusable storage bag. A luxurious powder puff that delivers smooth, even coverage of loose and pressed powders. 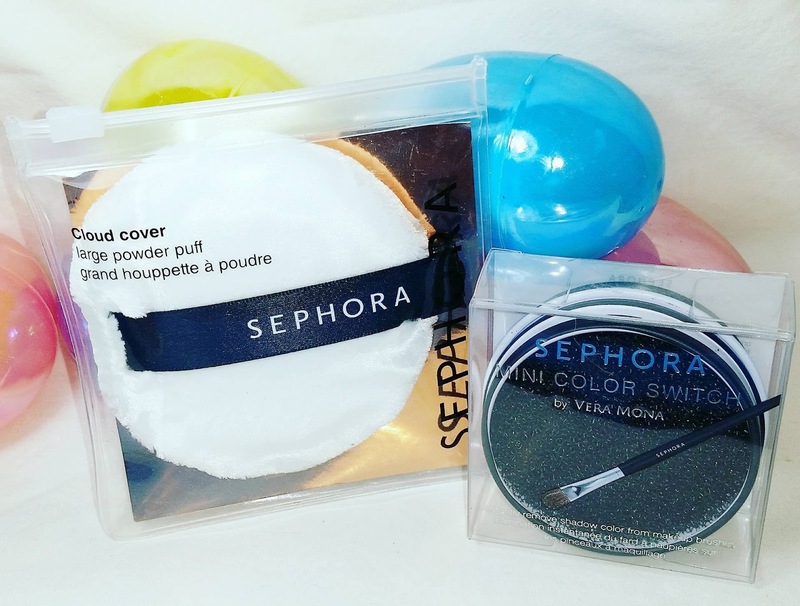 This super-soft makeup puff is large enough for the face and body. Made in Japan, its fine fibers hold the perfect amount of powder and deliver a matte finish for foundation or setting powders and a glowy look when applying face and body shimmer. The plush size retains its shape and feel after washing. 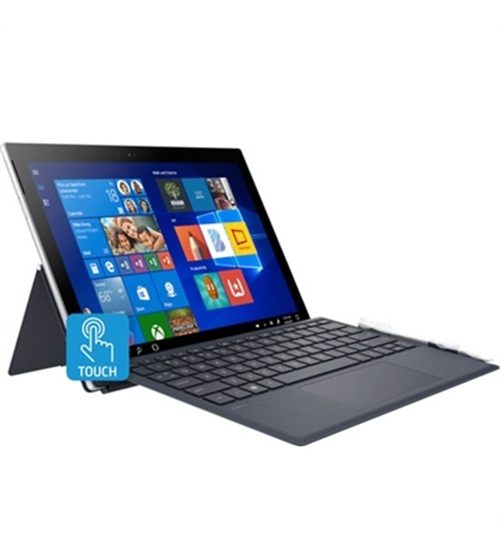 For the ultimate in comfort, the back is adorned with a satin band to stay put on the hand while using. 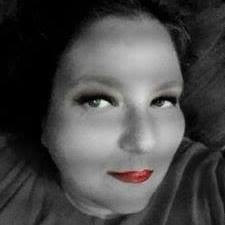 Mini color switch by Vera Mona - Like to change up your eye colors, but have a favorite brush but no time to clean it? A dry, makeup-removing sponge that allows you to switch colors without having to switch brushes. Inspired by a common makeup artist dilemma of how remove powder product from brushes without the drying time of a liquid brush cleaner, this sponge offers a dry alternative. The special material allows you to remove pigment from your brushes without brush cleaner formula. Simply swipe the brush over the sponge until pigment is removed and move on to the next color. The sponge is completely reusable and can be cleaned by washing it with warm water and soap or it can be sprayed with disinfecting brush cleaner for a quick cleanse. Perfect & Restore Sponge and Solid Brush Cleaner Set - The first part of flawless makeup starts with using a good applicator. A delightful duo offering a full-sized makeup sponge and mini beauty tool cleanser. This unique duet features The Perfectionist: Airbrush Sponge and the Solid Clean: Solid Brush Cleaner. The sponge delivers precise application, concealing, contouring, and highlighting. 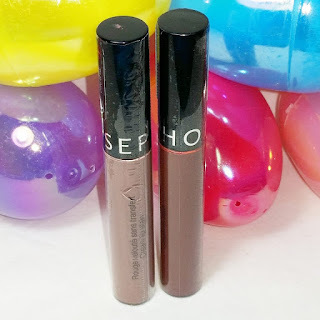 It is washable, reusable, and flawlessly blends all cream and liquid formulas, targeting hard-to-reach areas and blurring makeup mistakes for an airbrushed finish. The solid brush and sponge cleanser is infused with Argan oil to lift away dirt, bacteria, and stubborn residue and leave a lingering, warm Moroccan scent. The Pointer - Blending Sponges - Your best tools for applying make-up is your hands...these just make it a lot less messy. 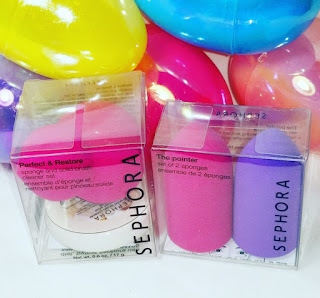 A set of two, reusable blending sponges that fit over the finger for a flawless finish. With an innovative design, these makeup applicators deliver efficient control and are perfect for those who love applying and blending with their fingers. The uniquely pointed shape promotes ideal precision for blending, highlighting, and contouring. The material expands when wet to pick up liquid and cream formulations, including concealer, serums, foundation, and BB and CC creams. Brush Meets Comb Hair Brush Cleaner - Nothing dulls the hair like a dirty brush, have no fear, we have the solution! A rake-like tool for effectively removing hair, dirt, and product buildup from any type of hairbrush. The clever design of this tool works just like a rake, making your hairbrush just like new. The small, flexible, and sharp teeth, made of steel, work to remove hair, dust, and product buildup from the hairbrush's surface and bristles. Teeth are tough enough to completely clean hair brushes, yet gentle enough to not damage them. This product can be used on any type, shape, or size hairbrush. LashCraft Length & Volume Mascara - When it comes to mascara the brush makes all the difference in the world. Lift and separate without the clumps for a bold look in lashes. 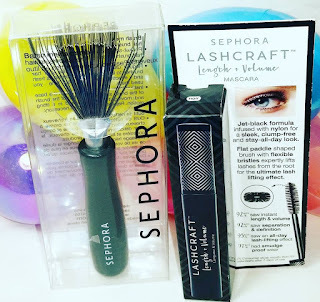 A jet-black mascara with a unique two-sided, flat paddle wand. 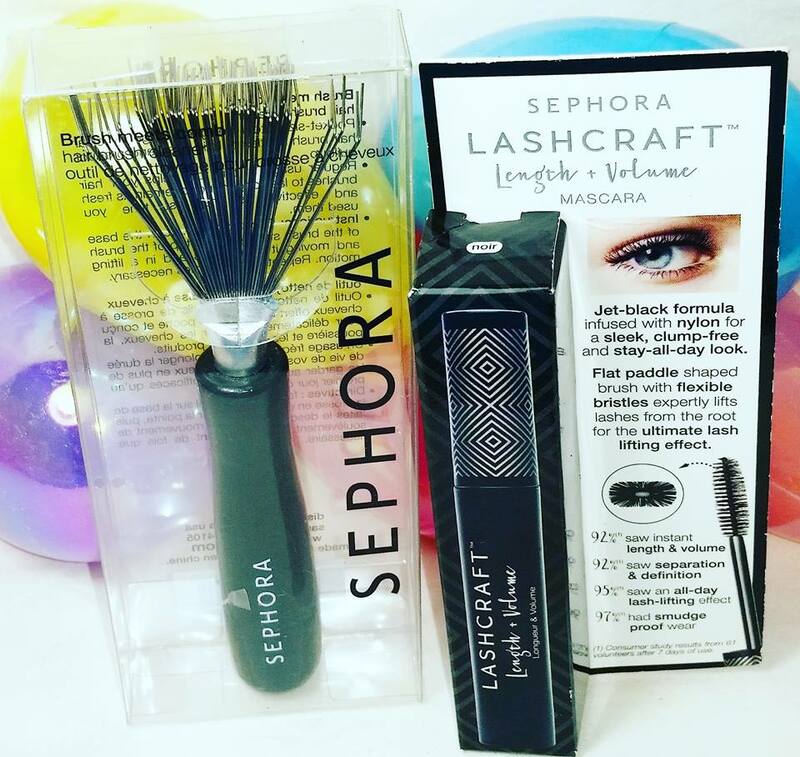 Sephora LashCraft Length & Volume Mascara lengthens, defines, and volumizes lashes with a unique paddle brush. The flat shape and flexible bristles expertly lift lashes up from the root for smooth length and definition to the max. The jet-black, high performance formula is infused with nylon for a sleek, clump-free and stay-all-day look. This mascara does not require chemical makeup removers. Simply splash with warm water for an easy return to au naturale lashes!